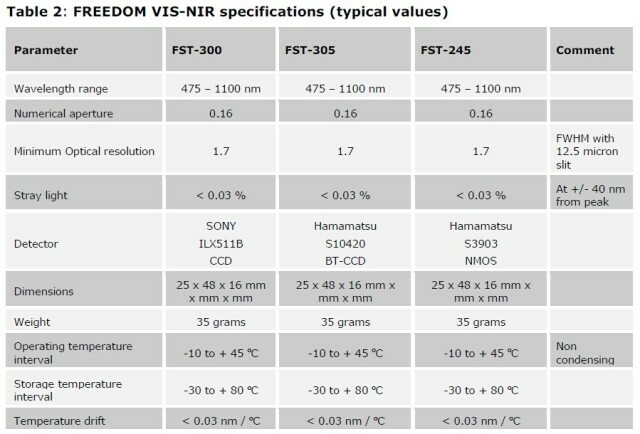 This document is a detailed product specification describing the FREEDOM VIS-NIR principle of operation and technical specifications. The FREEDOM spectrometers are intended for integration with your own electronics and therefore the electrical interface of FREEDOM is a direct access to the pins of the line detector array. 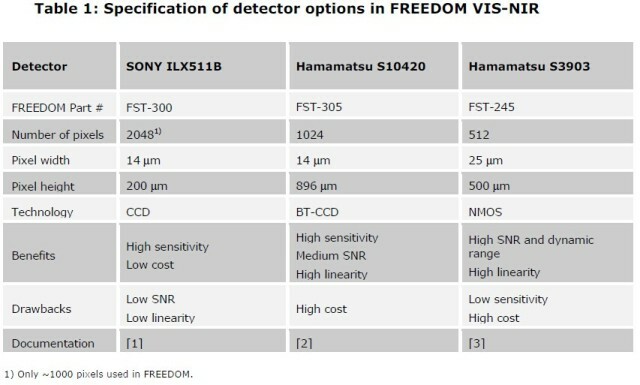 For more information about the detector array interfaces supported by FREEDOM VIS-NIR please, see the respective data sheets from the suppliers listed in Chapter 2.2. FREEDOM can also be supplied with the VersaPic USB/RS-232 controller and VersaSpec software. Please see chapter 4 for a description of this electronics and software option.